We’re about 70 miles northwest of Elephant Island, flirting with the Antarctic Circumpolar Current on the edge of the Drake Passage. This is, in legend and fact, the Worst Place in the World to be on a boat. Horrific storms and enormous ship-swallowing waves are the norm here (remember that video from my last trip on the NBP? The one with the decks awash and spray splattering the bridge, five stories up? That’s “normal”). And yet, were it not for 12,000 horsepower of Caterpillar diesels, we’d find ourselves becalmed. The water is flat, transfixed and glassy enough to see our reflections when we peer over the rail. 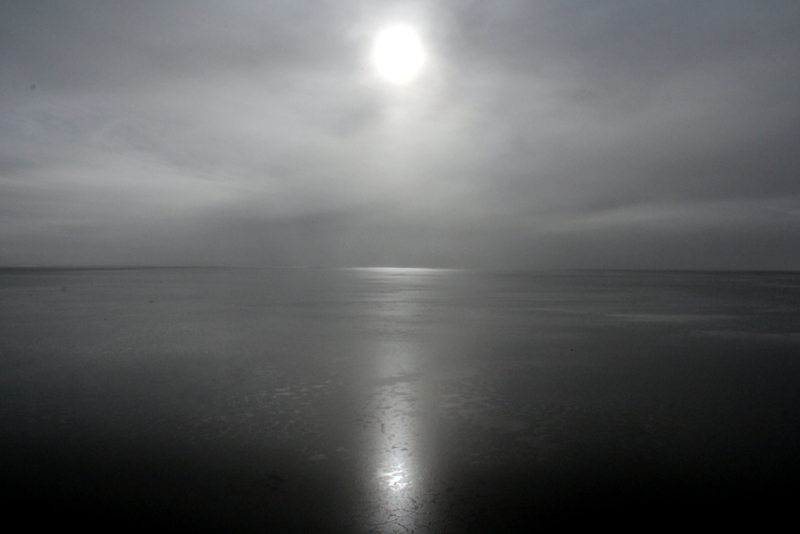 The sky, likewise, is a dull flat gray, the hollow winter sun a cold spotlight over a silent sea. It’s an unnerving, almost magical setting, and no one who’s spent any time with the program seems to have seen anything like it before. After my shift, I joined Cassie and Katie out on the aft deck, chipping bits of accreted ice off the gate and dropping them into the water to watch the ripples spread. 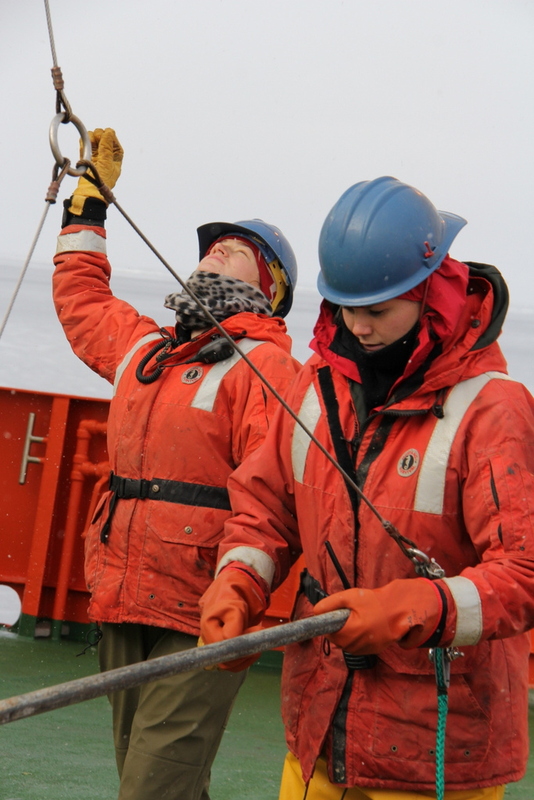 But unlike Coleridge’s mariner, Cassie and Katie don’t have the luxury of being idle – they’ve got a krill tow to deploy. They step into the well-practiced dance with Ryan and Jennie, unfurling the net and hooking it in (“It’s Science Tape!” Cassie declares, brandishing the omnipresent roll of duct tape used to secure the cod end receptacle where the krill are funneled). 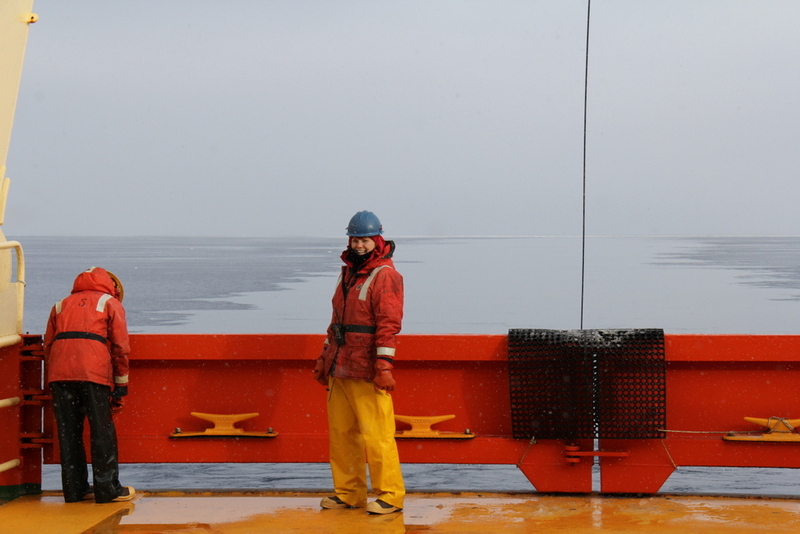 Radios are out, and whoever’s in Aft Control fires up the A-frame winch while Katie reads off the flowmeter reading. Jennie (let me reiterate one more time how uniformly in awe I am of MTs) looks skyward at the cable, guiding the winch with quick, inscrutable hand signals; Ryan, Cassie and Katie maneuver the net clear of the gate. 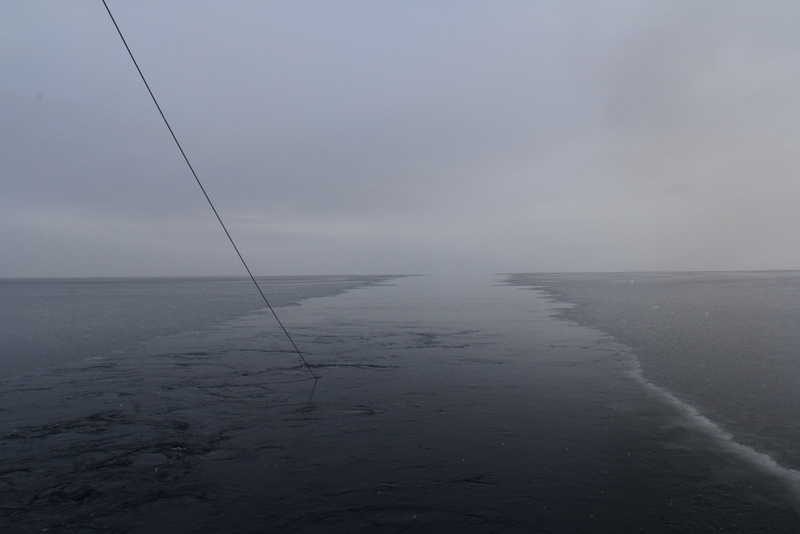 We’re moving now, two knots, cutting an almost imperceptible path through the frazil and grease ice that mottles the surface. It’s only as the net sinks away that you see how impossibly blue the water really is, like someone didn’t believe the food coloring package instructions that said “Add only two drops” and squeezed in half the bottle instead. And then the net is gone, vanishing into the gray behind us as the winch spools out. Ryan and Jennie nod – their work here is done until it’s time to bring the catch onboard, and there’s paperwork waiting inside. I linger with Cassie and Katie a little longer. I’ve not been spending enough time out here, and ever since I caught up on sleep (a couple of consecutive 10-hour snoozes does wonders for perspective), I found myself more willing to bask in just how unreal and wondrous a journey we’re on here. Wow. I spent nearly two years at sea during my Navy service. I can say I never saw a sea-state that utterly becalmed. There was always a swell, at the very least. What a surreal sight. BEAUTIFUL. Exquisitely phrased. I love your writing. Yours is the loveliest of blogs for the armchair adventurer to follow! Thank you for your sensitive, insightful, and humorous observations. Aww – thanks! 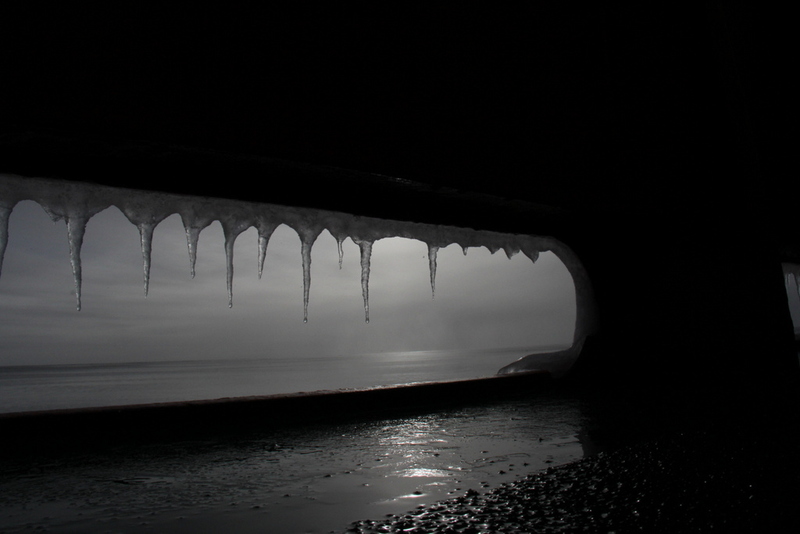 It felt pretty magical, and I did spend a bit of time casting about for words that could capture the eerie sensation. Thanks so much for letting me know I kinda got it.